"Over the past decade, Toronto’s skyline has seen a dramatic change with the addition of skyscraper condominium towers like the 57- and 67-storey Ice towers by Lanterra, Canderel’s 78-storey Aura at College Park and Tridel’s 10 York St., at 65 storeys. In urban centres where land is scarce, there’s nowhere to build but up. Some have called the city’s condo boom, the “Manhattanization” of Toronto. 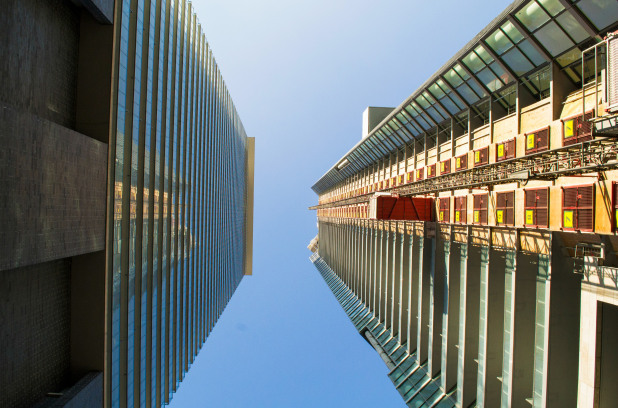 With the rapid increase in population, Toronto has experienced a new vertical urbanism. Architect Richard Witt, who is the chair of the Canadian chapter of the Council on Tall Buildings and Urban Habitat, says that certain neighbourhoods have been redefined by increased density, a result of land cost and availability as well as provincially mandated urban growth nodes. The Mirvish+Gehry condominiums will consist of two new landmark condominium towers by entrepreneur David Mirvish and architect Frank Gehry, slated for construction along King Street West."